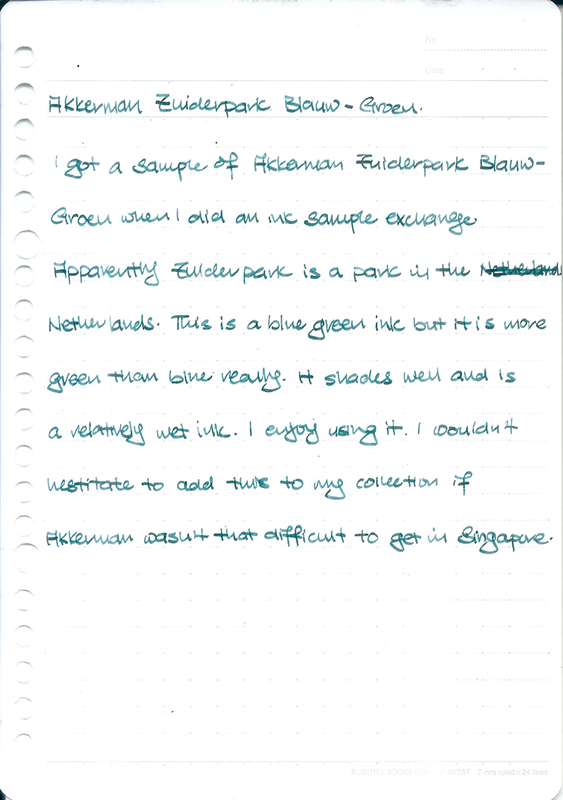 I got a sample of Akkerman Zuiderpark Blauw-Groen when I did an ink sample exchange. Apparently Zuiderpark is a park in the Netherlands. 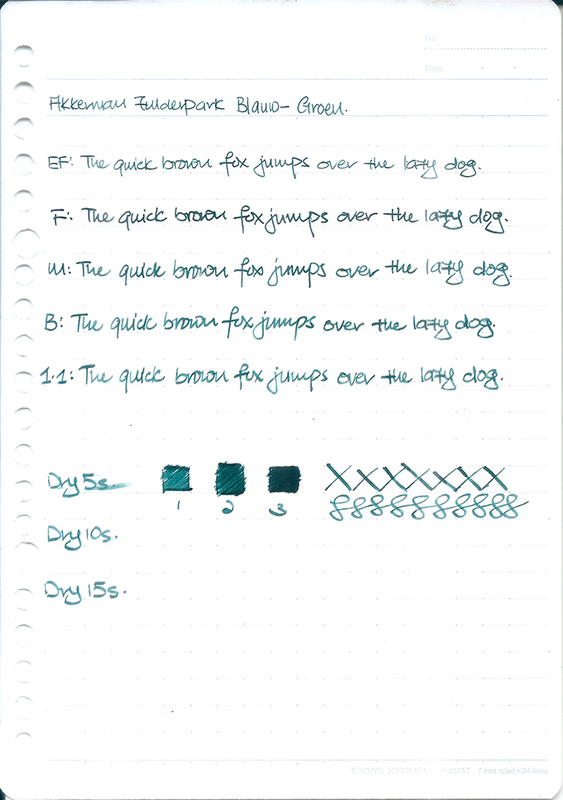 This is a blue green ink, with more green than blue really. It shades well and is a relatively wet ink. I enjoy using it. I wouldn’t hesitate to add this to my ink collection if Akkerman wasn’t that difficult to get in Singapore.